X-Men Apocalypse Trailer: Did you see that? The Fox studios dropped another trailer for the upcoming X-Men Apocalypse movie directed by Bryan Singer who was at the helm of successful films in the franchise like X-Men, X-Men 2 and X-Men: Days of Future Past. Firstly, we see the usual which we have already seen in previous trailers – Apocalypse (an ancient creature played by Oscar Isaac) who was the most powerful and the first ever Mutant to have walked the Earth is now set to unleash the wrath upon the Professor Xavier trained mutants and other students as he thinks they have betrayed the cause of Mutants. He calls for a new world order, invite mutants who believe that Prof. Xavier has failed them & can’t be the leader of Mutants tribe. He has amassed an army of mutants for thousands of years. Magneto (played by Michael Fassbender) is likely to join the Apocalypse crusade to bring down the world and build a new one from its ashes. On the other hand, we see a bunch of Mutants led by Mystique (played by Jennifer Lawrence) preparing new recruits for the inevitable war to save the mankind. 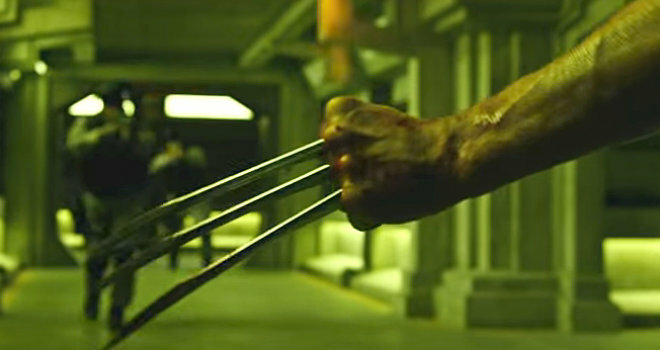 But in the last 30 seconds of the trailer, we saw Wolverine’s claw which confirmed the presence of Hugh Jackman in the movie. He may not have a substantial role in this one as he is busy shooting for finale standalone Wolverine movie based on “Old Man Logan” storyline. Moreover, the entire plot of X-Men: Days of Future Past revolved around his character. He was the one who went back in time to change the past and prevent the destruction of mutants. We know that there is a big role for William Stryker (man who is responsible for Weapon X programme) in the movie, and it seems that Wolverine is in the Weapon X facility, so it’s possible that we may see an origin story and Apocalypse may try to brainwash him to lure him into his camp.